Blasters cost $60/ea. plus a refundable $25 deposit. They are a rental item. They are fire extinguishers which are pre-loaded with 3lbs of standard color powder. The Blasters will release continuous Celebration Powder for approximately 15 seconds. Blasters must be returned within 3 business days of use in working condition in order to receive a $25 credit for the return. UPS return shipping labels are supplied. Simply repack the Blaster in the original packaging and place the UPS label on the box. You can drop them off at any UPS location. PLEASE NOTE: BLASTERS CANNOT BE EXPEDITED VIA AIR BECAUSE THEY ARE PRESSURIZED. 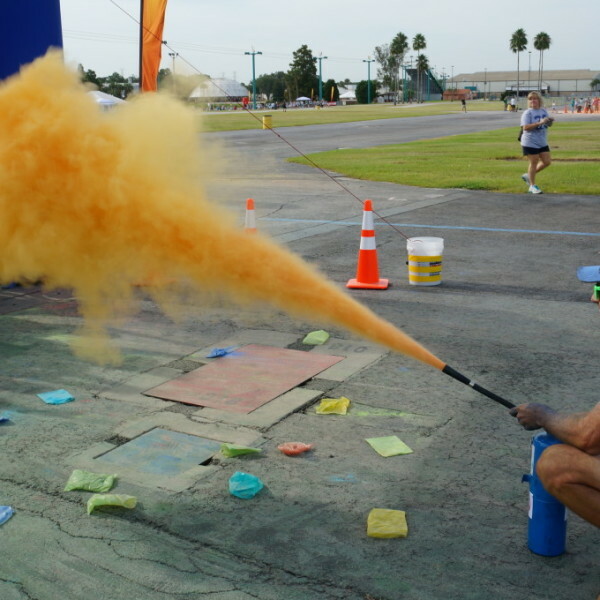 Blasters are fire extinguishers which are pre-loaded with 3 lbs of our standard colored powder. The Blasters will release continuous Celebration Powder for approximately 15 seconds. We can pre-fill and ship within 48 hours. A return label is provided for your convenience for the empty Blaster to be returned. Use the original packaging and place the pre-paid return label on the box. PLEASE NOTE: BLASTERS CANNOT BE EXPEDITED VIA AIR BECAUSE THEY ARE PRESSURIZED. 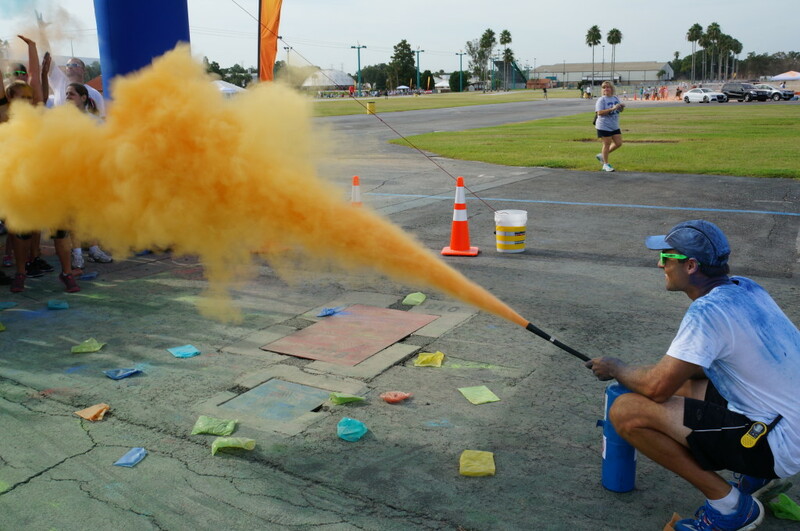 Tip: Blasters are a great way for sponsors to participate in the event. 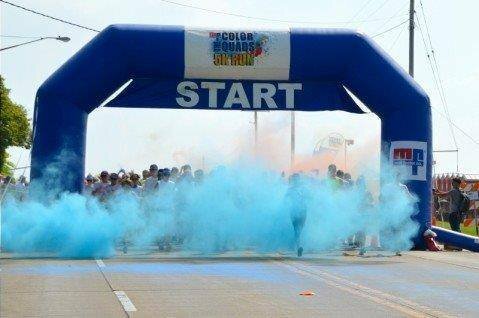 Sponsor a Blaster and have the sponsors release the Blasters at start, zones or after party. 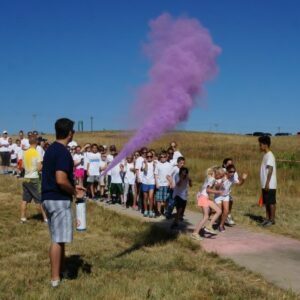 Be the first to review “Blasters | Color Powder” Click here to cancel reply.